The Province of Galapagos is one of the 24 provinces that make up the Republic of Ecuador, located 1000 km off the coast of mainland Ecuador. Its territory is formed by the Archipelago de Colón, also known as "Islas Galápagos", from which it takes its name. In total there are 13 large islands, 6 medium and 107 islets and rocks that make up the archipelago. The administrative capital is the city of Puerto Baquerizo Moreno, while the largest and most populated city is Puerto Ayora. It occupies a territory of about 8,010 km². In Galapagos, 25,124 people live, according to the last national census (2010), being the least populated province of the country, mainly due to the desire to preserve the flora and fauna of the region to the maximum. The Province of Galápagos is constituted by 3 cantons (San Cristóbal, Isabela and Santa Cruz), with their respective urban and rural parishes. 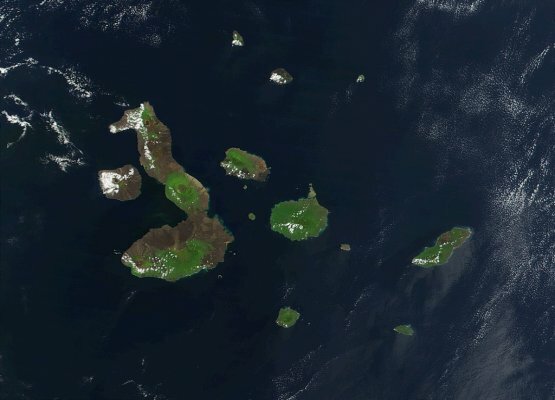 According to the last territorial order, the archipelago forms the Special Regime of Galapagos, within the project of new division in autonomous regions. It is the largest tourist center in Ecuador, as well as one of the largest and most important ecological reserves on the planet. The main activities of the province are tourism due to its quality of natural reserve, and fishing. The territories of the province of Galápagos were discovered during the Spanish colonization in 1535 by Fray Tomás de Berlanga, although a locality in the archipelago was not established. For much of the colony, the islands served as hiding places for pirates looting several cities in South America. Ecuador annexed the Galapagos Islands on February 12, 1832, and the current province was created on February 18, 1973.